Charity and giving to others in need is a part of the Jewish heritage and everyone can participate. Hadassah Medical Organization operates two outstanding hospitals in Jerusalem, serving more than a million patients a year, regardless of race, religion, or nationality. Your donation today can help Hadassah Hospitals fund extraordinary medical advances, lead the way in urgent medical research, promote health education globally, and provide quality healthcare for all people in the State of Israel and throughout the world. Each year, our hospitals in Israel add to Hadassah's list of global firsts and medical breakthroughs, from heart disease to breast cancer to trauma. 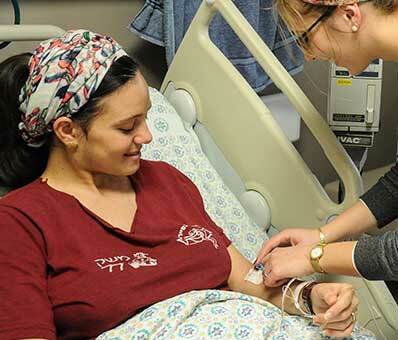 Based on some of Hadassah Medical Organization’s breakthroughs, expanded research is now being performed in medical centers across the United States.